The word “Innovation” gets thrown around way too often, whether in commercials with patents flying behind new cars because they’re “oh so innovative”, on billboards or in inspirational CEO speeches. What company doesn’t claim they’re “the most innovative” in their sector? Despite the hype and buzz, innovation is indeed something very real and necessary. Well, that’s the million-dollar question. Or maybe billion. For companies to succeed in the long game, understanding what innovation means and the role it plays in company sustainability is vital. Let’s just agree right from the start, innovation isn’t about getting lucky and becoming a unicorn; it’s not about turning into a startup or deploying “dual operating systems” or being “ambidextrous”; it’s not even necessarily about technology. Fundamentally, innovation is about discovering and creating new value for customers. Tweet this: Innovation is about discovering and creating new value for customers. Its purpose is not only to provide that value, but to grow the company or maintain its place in the economy. The challenge, then, is building an engine, fueled by people and process, that continuously innovates for decades to come. 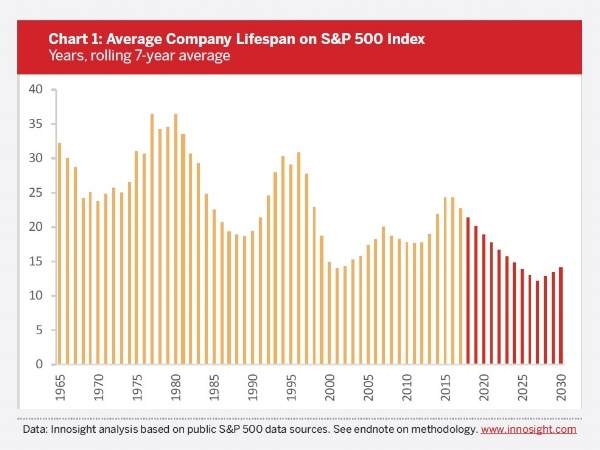 In 1958, the average lifespan of an S&P 500 company was 58 years. Today, the average is under 20. To be blunt, the economy is being reinvented. The depression of 2008 arguably marked the end of the Industrial Age. Digitization, globalization, tech behemoths, disrupting startups mark the new era. Companies that are slow, unable to incorporate new information or technology into current plans and not obsessed with providing value to customers are quickly becoming dinosaurs. This is the innovation imperative. Companies must reinvent themselves to not just be customer-centric -- that’s almost a cliché now. But rather, to be obsessed with discovering and creating new value. Where Did Innovation Come From? Interestingly, innovation wasn’t always considered a good thing. Canadian historian Benoît Godin studies the intellectual history of innovation and has spent the last 10 years publishing research on the evolution of the word. He found that in past centuries, innovation was a contested idea in philosophy, religion, politics and social affairs. The root of the word innovation, “novation” began appearing around the thirteenth century in law texts. At the time, it was used in regard to renewing contracts. It’s meaning revolved around newness, as in new versions, not necessarily creation. Flash forward a couple of centuries to the 16th and 17th century religion-dominated Europe, and the word “innovation” began coming into play more frequently. At the time, its meaning revolved around change — but bad change. Henry Burton, an English Puritan and royal official at the time, used the word in pamphlets denouncing church officials as innovators. Unfortunately for Henry, the people in power claimed he was the true innovator. He was sentenced to prison for life, and had his ears cut off. The next turning point for the concept of innovation occurred during the industrial revolution. At the time, the world was being re-invented through technology breakthroughs. R&D labs developed thousands of patents in response to a growing middle class and its burgeoning consumerism. True innovation didn’t stop at invention, or patents. Businesses still struggle today with that distinction. The history of “Innovation” continues to evolve, of course. Clayton Christensen’s 1997 Innovator’s Dilemma, where he maps the course of “disruptive innovation” stands-out, and was highly predictive of companies’ decreasing lifespans. Virtually every industry faces disruption at some level today, but not just from startups. Large tech companies such as Google and Amazon, for example, attack new industries with impunity. After spending the waning decades of the Industrial Age focused on increasing worker productivity, driving down costs, and finding new revenue streams through M&A, companies are left with few levers for finding real growth. Today, innovation can’t simply mean technology invention, nor can it mean incrementally tweaking business models. Fundamentally, companies must learn again how to find growth in discovering new value to bring to customers. History suggests that innovation can occur as a matter of luck, such as stumbling upon a solution to a problem one wasn’t even seeking to solve. Penicillin and post-it notes are two examples. But it’s pretty hard to plan for accidental innovation. Others argue that the opposite is true: “real” Innovation comes from “visionaries” — those that foresee the future and think up a brand-spanking new idea that’s going to change the world. Steve Jobs, Thomas Edison, Henry Ford all had brilliant insights into market needs, but they also surrounded themselves with brilliant people and used relentless experimentation and iteration to create the changes they were driven to make. Their innovations had nothing to do with Eureka! moments or ironically, light bulbs flashing above their heads. Trying to come up with game-changing ideas by thinking really hard doesn’t drive innovation. Tweet this: Trying to come up with game-changing ideas by thinking really hard doesn’t drive innovation. Nor will funding ideas because senior executives sitting in the boardroom think they sound great. Continuous innovation requires a new mindset. Embracing the unknown, learning to operate with uncertainty, adopting a learning mentality -- the characteristics reminiscent of entrepreneurial endeavors -- opens one up to the possibilities of recognizing the potential value of “mistakes”, developing customer insights, or discovering something new that creates value. By instilling people with the entrepreneurial thinking and new processes united around the 3 E’s of Lean Innovation -- empathy, experimentation and evidence -- companies can create a continuous innovation engine, resulting in both near and long term growth. Where does your organization stand on the road toward transformation? Click here to learn more about our free innovation assessment and find out. In other words, as companies grow, they put structures and processes in place to optimize growth in the markets they’ve discovered. Take for example, cascading management hierarchies, which are focused on executing upon known plans for improving, marketing and selling existing products. By focusing solely on execution and optimization of current success, companies become vulnerable to changes that upend their markets. In The Lean Entrepreneur, Brant Cooper and Patrick Vlaskovits dive deeper into this by illustrating the innovation continuum. On one side is sustaining innovation, which is focused on making marginal improvements, like the iPhone X vs. the iPhone 8. There is a relatively small amount of uncertainty. On the other extreme is disruptive innovation, which creates a whole new market, like the first iPhone. There is a massive amount of uncertainty on this end of the spectrum. The corporate innovation challenge is the creation of a balanced portfolio of projects across the continuum. It’s vital to understand that in order to achieve the balance, companies need to instill a different mindset across the company that affect operational procedures, leadership behaviors, metrics, policies and people. Everyone has a customer, so everyone needs to act entrepreneurially. 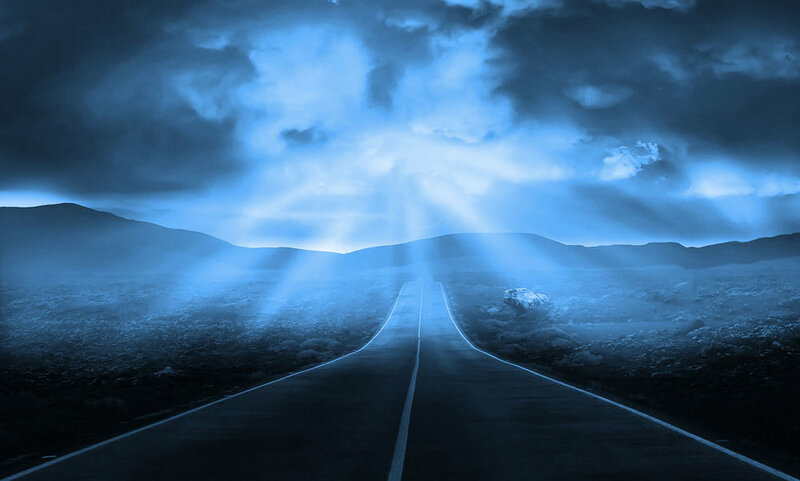 Where and when is determined by the level of uncertainty. Innovation practices based on technology without understanding customers; or based on design practice only without understanding business models; or addressing problems without the ability to solve them. Companies with multiple innovation efforts across the company simultaneously, poorly defined; left-hand not knowing what the right is doing; none of which are actually tied to strategic priorities. Often, it’s some combination of some of these! All result in tremendous amounts of waste. All fail to protect the future of the company. We know we need to continuously innovate. We know the way we’re doing it now doesn’t work. We know we need to reinvent ourselves. The world of innovation practices must evolve, just as the definition of innovation itself has. Tweet this: The world of innovation practices must evolve, just as the definition of innovation itself has. Lean Innovation is the new frontier - building on the concepts of the past, while leveraging today’s opportunities. Reducing the waste in discovering, creating and delivering new value to fellow humans. This requires us to act bold. It requires a new investment in the people, empowerment of employees to exercise their natural creativity and inspiration, and adoption of new skills, from the front-line to the c-suite. In order to avoid succumbing to the innovation imperative, we must not just continuously improve our functional support. We must understand how to reinvent ourselves so we can evolve and thrive instead of turning to dust. So, how can enterprises survive in the 21st century? They must harness the power of empathy, experimentation, and evidence to effect permanent, transformational change throughout the organization. They must adopt Lean Innovation practices before it’s too late.